Alcohol addiction creeps up on you. One day you’re having some drinks with friends. It seems like the next day, you’re hungover, lying in bed wondering how to get through the day without drinking. You’re a slave to alcohol and you can’t figure out how it happened. It’s a problem you never thought you’d have. However, don’t despair. Beaches Recovery knows about alcohol dependence and has a premier alcohol addiction rehab center here in Jacksonville to get you sober and help you stay that way. Not everyone develops alcoholism in the same way, but alcohol abuse researcher Elvin Morton Jellinek identified some patterns in 1960 about the stages of alcohol recovery that became widely accepted. In stage one, or the pre-alcoholic stage, the person may begin by drinking alone or in social situations. Notably, they use drinking to help them cope with unwanted emotions, stress, or anxiety. They start developing tolerance. In stage two of the stages of alcohol addiction—or the early stage of alcoholism—the addicted person may start to have problems with loved ones. They begin drinking to cope with problems caused by life situations and stress. They may binge drink or have blackouts and not remember what they did while drinking. In stage three, the middle stage of alcohol addiction, the person begins feeling strong guilt from drinking. They may start to hide or rationalize their drinking by drinking alone or changing brands. They may make attempts to stop, only to have them fail. In stage four of the stages of alcohol recovery or the late stage, the person starts losing control over their drinking. They may start the morning with a drink and have long periods of being drunk. At this point, a person often begins to show adverse health signs, both mental and physical. Though getting help at any stage is essential, by the time a person enters stage four, they run a genuine risk of killing themselves with alcohol. Your brain produces feel-good chemicals when you drink alcohol. This chemical surge makes you feel rewarded. It also makes you drink more, until you feel sedated and content. This is how addiction begins. By the time addiction sets in, your brain is dependent on alcohol for normal daily functioning. Your brain can adjust to your lifestyle when you overuse alcohol and can rewire itself to function after detox. However, even in sobriety, your brain does not forget alcohol. This amazing organ has become chemically conditioned to the substance, almost weak to the lure of drinking. It will always remember the reward experienced early in drinking–the reward it keeps chasing in addiction. Just as you feel rewarded by your brain for drinking, it also punishes you when you don’t drink. This punishment is withdrawal. Your body needs alcohol to function normally. A quality detox center will help you comfortably get through withdrawal, just as an accredited alcohol rehab is your best choice for continuing long-lasting recovery. Your rehab program must include a wide array of therapies and other aspects of treatment to help you gain strong recovery. Alcoholism will never go away completely, but enough healing is possible for a productive, happy, and fulfilling life. Although your brain will never completely erase your alcoholism and its cravings, you can relearn how to live without drinking. That is the big “trick” for healing from alcohol abuse. You have to get healthy and practice what you learn in alcohol rehab. Taking shortcuts to quick recovery or not using what you learn in a treatment program will only lead to relapse. Some people leave alcohol rehab and never touch a drink again. Others have an up and down journey through recovery. They may be sober for a while following rehab, only to suffer a relapse. They get back into healthy sobriety and may relapse again, repeating the cycle. However, there is no perfection in healing alcoholism, only getting the tools you need for your best chance of sobriety and using those for recovery. What are These “Magic” Sobriety Tools Gained in Alcohol Rehab? In reality, there are no magic cures for alcoholism. However, in rehab, you do gain a broad array of tools and skills you need for healthy recovery. In essence, you learn what you need to have a real shot at staying sober for the rest of your life. It is up to you to put those tools to work. Along with addiction treatment professionals, you choose your alcohol rehab program based on what suits your unique needs. An accredited facility meets individual needs best. 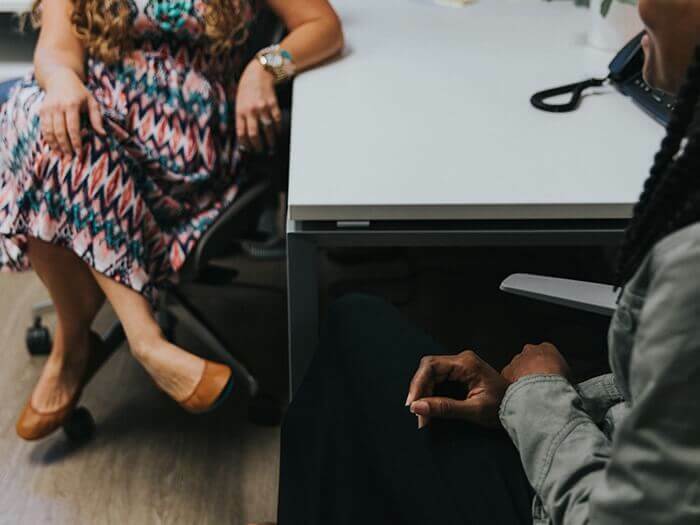 Being accredited means that the rehab has been carefully inspected and audited to ensure it provides clients with the best chance for lasting recovery. Even past clients participate in the accreditation, offering their input about whether the program worked for them. In an accredited program you can expect to go through individual counseling, family therapy, group therapy and other types of therapy designed for rebuilding your life. In these therapies, you gain life skills, coping skills, knowledge about addiction and awareness of how your addiction affects your life and those around you. When looking for an alcohol addiction rehab center, it’s crucial to locate accredited addiction treatment programs. Amazingly, many Florida alcohol addiction treatment programs do not have accreditation, according to The National Survey of Substance Abuse Treatment Services. Many addicts can’t locate an accredited alcohol addiction rehab center for their alcohol addiction. It’s no wonder with only 42.4% of the nation’s treatment facilities seeking accreditation. Beaches Recovery in Jacksonville, FL is an accredited Florida alcohol rehab, proving itself among the best rehab facilities in the country. 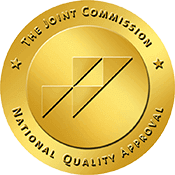 Both of the primary accrediting agencies, the Commission on Accreditation of Rehabilitation Facilities (CARF) and The Joint Commission, require higher standards than state regulators. The review process is rigorous and includes an intensive review of the substance abuse treatments‘ structure, clinical programming, practices, and patient outcomes. 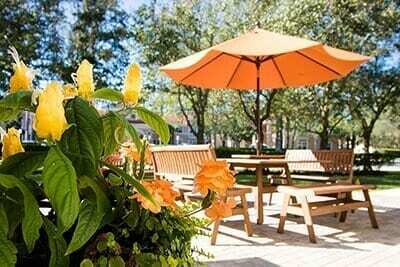 How Does an Alcohol Addiction Rehab Center Become Accredited? Each of the primary accreditors has its own criteria for excellence. These programs of accreditation are voluntary. Treatment facilities that do seek accreditation have the consistent drive to improve quality of care and ensure they are performing at high standards. This is no small task since there are hundreds of criteria for achieving accreditation. What questions should I ask when screening an alcohol addiction rehab? When looking for an accredited alcohol addiction treatment center in Florida, ask questions to ensure the facility meets your needs. Accreditation is a great asset, but you still should ensure the facility can meet your specific needs. How soon can services begin? Will I be on a waiting list to gain treatment? How frequent are treatment sessions and how long do they last? How will my family and I participate in treatment planning and scheduling? Do I have rights and responsibilities as a patient of this alcohol rehab center? Are other types of assistance available if needed? What types of therapies and treatments does this alcoholic treatment program provide? Just because you or your loved one lives outside of Florida doesn’t mean that Florida alcohol treatment centers can’t help. Typically, experts advise that people travel to another state for treatment so that they have time to recover. Those who stay locally and go to treatment sometimes struggle quite a bit because their triggers are so close. Even at a local inpatient treatment facility, it’s difficult to fight the urge to leave and get drunk or high with local friends. By traveling to a treatment center in Florida, you’ll be able to focus on yourself for a change. This is very important because many people who need help need this type of space. Different situations like work, marriage, children, and other obligations make it hard for a person to have time to focus on his or herself. Traveling to Florida alcohol treatment centers is just a way for you to build a strong foundation of recovery before you return home. When you enter rehab for alcohol addiction, know that this is going to be a marathon and not a sprint. Many studies show that when you transition through different levels of care in addiction treatment, you have a much better chance of staying sober. This is why Beaches Recovery offers everything from detox, to inpatient and outpatient programs, as well as transitional living and sober living options. Our rehab wants to give you the ability to continue strengthening your recovery so you can be successful after treatment. Transitioning through the different levels of care allows you to have the time to focus on yourself and your sobriety. As you go from inpatient to outpatient, you begin dealing with life’s issues for the first time, clean and sober. By being in the outpatient program, you’ll still have the support of your peers. You will also have the support of Beaches Recovery to help you navigate through early recovery. We also offer sober living options if your home situation is not safe for your recovery. 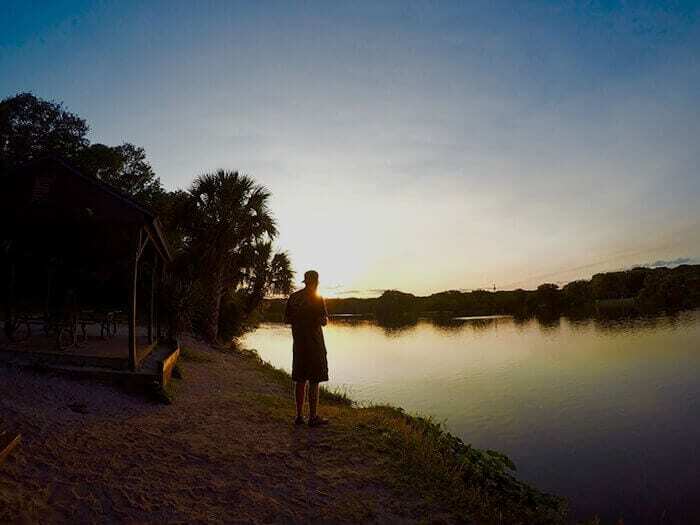 Beaches Recovery is a leading alcohol rehab facility located in Jacksonville, Florida. We are Joint Commission accredited and offer numerous programs that can help you recover from your alcohol addiction problem. To learn more about the treatment programs and therapies that we offer, give us a call at 866.605.0532. If you have been struggling with alcohol abuse, Beaches Recovery is exactly where you need to be. Call today.